If you have a psychological disability, the application process for Social Security Disability Insurance can be difficult. Now a committee from the Institute of Medicine is calling for more testing, which could make it even harder. In 2014, the Social Security Administration paid benefits to nearly 11 million disabled workers and their dependents. Of those, 277,210 were Michigan residents. When it comes to psychological disabilities, however, some are claiming those awards are unjustified. A committee from the Institute of Medicine is calling for a new test for psychologically disabled applicants to prove they aren’t faking. The committee recommends that the Social Security Administration (SSA) sometimes require standardized non-cognitive psychological tests. The tests would specifically target cases where the application is based primarily on the person’s self-reported symptoms rather than objective medical evidence or long-term medical records. This would most often affect people who suffer non-cognitive mental disorders. 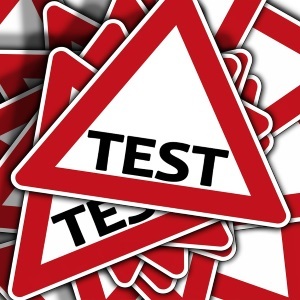 It said these “validity tests” would help the Social Security Administration decide an applicant’s disability by measuring how much effort a person is putting into the effort of the test. The committee said using these tests could save Social Security money, rejecting people who were “malingering” – making up or over-stating their disability. This position reveals an assumption that has not yet been supported by any evidence – that applicants for psychological disability benefits are lying. That a person would go through the time, difficulty, and expense of completing a SSDI application if he or she was not actually disabled and unable to work seems contrary to the fact that many legitimately disabled individuals cannot get benefits without an appeal and an experienced SSD attorney. Most applicants with a psychological disability provide proof of their work limitations using cognitive, performance-based psychological tests, as well as behavior testing. The Social Security Administration acknowledges many of these tests as reliable and useful in determining disability. However, it does not require them or pay for validity tests even if they could affect the outcome of an applicant’s case. The addition of mandatory validity testing without proof of cost savings imposes an additional burden on SSDI applicants suffering a psychological disability. Whether validity testing is appropriate is a decision best made by the applicant and his or her social security attorney. While they can be helpful in some cases, in others it is just another procedural hurdle for applicants to get through. The SSDI application process can be particularly complicated for people suffering a psychological disability. Rather than struggling alone, applicants should get help from an experienced disability attorney like William Crawforth. By getting a lawyer involved early, patients could avoid an appeal and get support faster. If you or someone you love suffers from a psychological impairment that interferes with his or her work, contact William Crawforth today for a free consultation.